It is hard to believe that there was ever a time before Bevo, but indeed there was. Pig Bellmont, a scrappy tan-and-white bull terrier was born in Houston in 1914. Shortly after his birth, he was transferred to Austin by his owner, L. Theo Bellmont. In no time, rather than remaining confined to his yard, the dog accompanied his owner to the 40 acres and then started to roam the UT campus seeking affectionate students, retreating squirrels, shaded trees, and shaded campus buildings. He was adopted by students and university faculty, spending his days visiting classrooms and seeking shelter during storms. Theo Bellmont was appointed as the first athletic director of UT in December 1914. He attended numerous sporting events with his bull terrier, particularly the Longhorn football games. 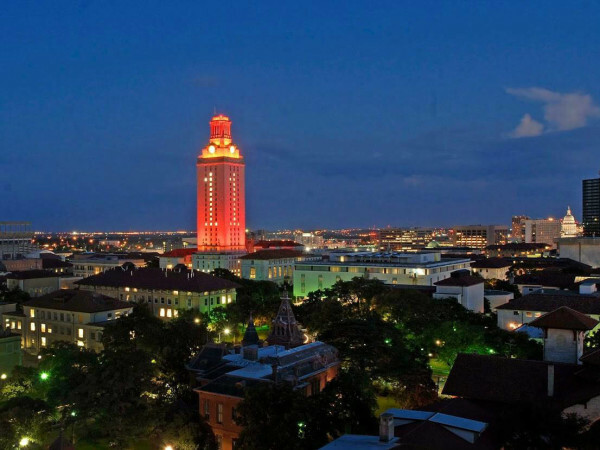 Although the university football players were known as the Longhorns, they did not have a mascot. Football fans noticed that the dog and the football player, Gus "Pig" Dittmar, both stood on the sidelines in a bowlegged manner. Gus Dittmar acquired the moniker "Pig" because of the way he moved liked a "greased pig" on the field. Soon, the terrier was named Pig in his honor. Pig Bellmont became such a permanent fixture on the UT sports scene and such an avid member of the athletic fan base that one person at the time noted, "If you say A&M to him, he will promptly lie down as though ready to give up the ghost in disgust. On the other hand, say Texas to him and he starts barking with joy." 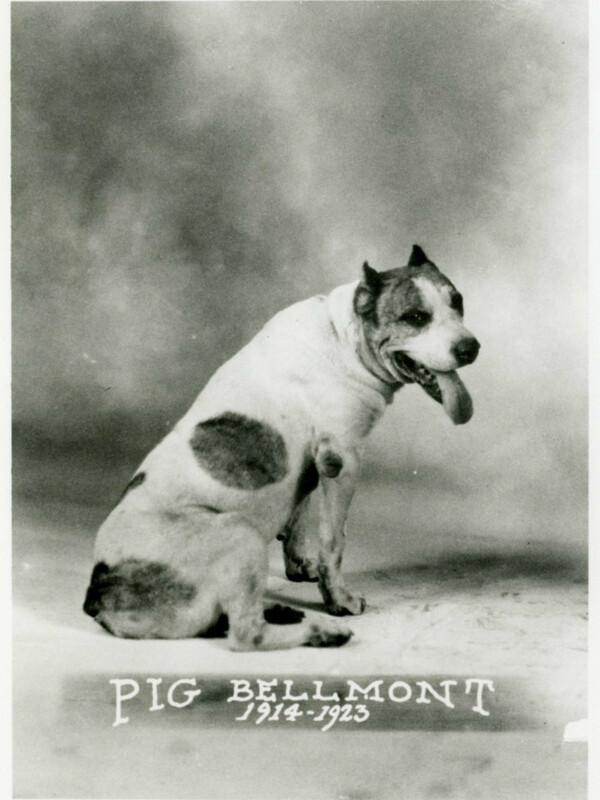 Although Pig Bellmont was a vital part of the University from 1914 to 1923, in his later years, Pig began slowing down physically. Unfortunately Pig became a casualty of traffic in the university area and was struck by a Model T at the intersection of 24th and Guadalupe streets. 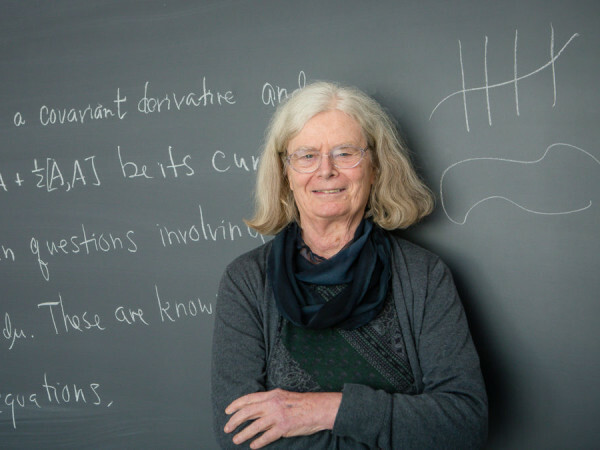 The university population was in mourning upon learning of Pig Bellmont's death. The school decided to give him a grand send-off led by the band, with members of the Texas Cowboys serving as pallbearers. It was reported that over 1,000 mourners attended the services and the dean of the UT engineering school, Dr. Thomas Taylor, delivered the eulogy, telling the crowd, "Let no spirit of levity dominate this occasion. A landmark has passed away." A solo bugle played taps for the crowd, and Pig was memorialized with a marker reading "Pig's Dead, Dog Gone." Today, there is a marker next to a tree on the lawn of the Graduate School of Business. The second official mascot, Bevo the Longhorn, remains today. The first Bevo was acquired by Stephen Pinckney and made his debut at the 1916 Thanksgiving game of UT vs. A&M. UT won the game 21 to 7. Bevo XV, Sunrise Spur (who debuted in the 2016 season, 100 years after the reign of the first Bevo), will preside over the 2017 football season. The first game day is September 2, Maryland vs. UT.